Youngsters have always been attracted to the silver screen and it’s glamour. Young boys and girls from times unknown have left their far away homes to try their luck in Bollywood. We take a look at a few actors and actresses who came here tried their luck and when things didn’t work out they quit the industry to try their luck elsewhere. We bring you a few known names who came and disappeared from Bollywood. Bhagyashree: Hailing from the Royal Patwardhan family, Bhagyashre debuted with Sooraj Barjatya’s film Maine Pyar Kiya opposite Salman Khan. The film was a huge box office success but thereafter Bhagyashree got married and insisted that she star opposite her husband Himalaya in all films which led to her down fall. Now she makes rare appearances on television series. 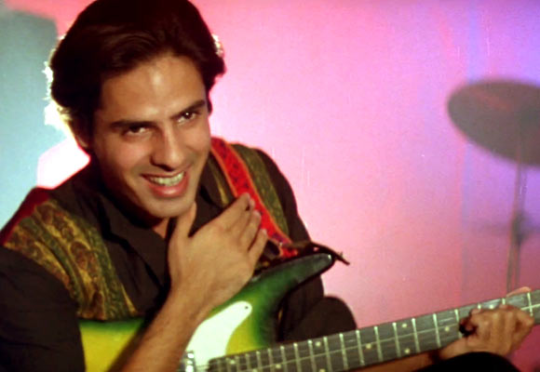 Rahul Roy: He made a huge bang with his debut film Aashiqui dirtected by Mahesh Bhatt which is remembered even today but the same could not be said about his films later. The actor soon disappeared from the silver screen. Bhumika Chawla : Bhumika got her first cine break opposite none other than , Salman Khan in the movie Tere Naam. The film went on to become a huge box office blockbuster but the actress could not prove herself in Bollywood after that. She made an exit to the South. Gracy Singh: She made her debut with Aamir Khan in Lagaan and then she played the main lead opposite Sanjay Dutt in Munnabhai M.B.B.S. With two blockbuster hits the actress could have ruled the roost but Garcy Singh simply disappeared into oblivion after that. Now one hears of her doing some rare dance shows. .The damsel however could not sustain the Bollywood charm and made an exit to the South. Gayatri Joshi: Here was one actress who really didn’t plan a career in Bollywood. This Ex-miss India made her debut in Ashutosh Gowarikar’s Swades opposite Shah Rukh Khan. The film was not a commercial hit but Gayatri was appreciated as an actress. She made a quick exit from Bollywood and married and settled down.